Our objective is to create a state-of-the-art mobile software by combining skills with a given dedication to prepare the best apps.We understand that Android is the fastest growing mobile platform due to which the demand for Android app development is steadily increasing. Android – a fastest growing operating system of smart phone devices has been popular with its each update.Its versatile, user friendly applications & flexibility has made it more favorite. 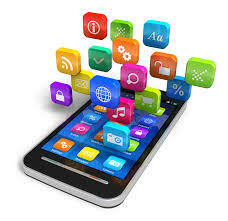 Our team having updated knowledge of latest android release invents profitable android apps. Technology we use includes the Android SDK, Media APIs, Location-based Service APIs, Wi-Fi APIs, Security Architecture, OpenGL and 3D Graphics, for providing our clients with the best experience.